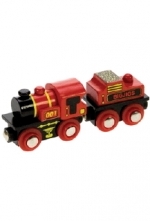 A three-pack of trucks for your Thomas & Friends TrackMaster™ engines. 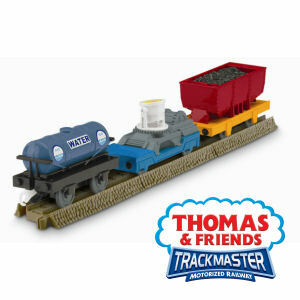 Each set comes with three cargo cars with a special theme and three pieces of track. All cargo is removable. 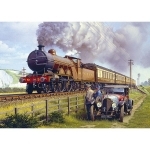 Includes a search light car, water tanker and coal hopper car.